My research is among the candidates for a prestigious award. Let's cross our fingers and wait! Tensegrity structures are spatial, discrete, and lightweight structures that are composed of struts in compression and pre-stressed cables. Stability is provided by the self-stress state between elements independently of external actions. Tensegrity structures are attractive due to their potential for deployability, ease of tuning and high precision control. Since tensegrity structures have highly coupled behavior, placement of actuators is a primary concern when designing active control systems. This study investigates the active control performance of cable members of a tensegrity bridge. The actuation efficiencies of cable members are evaluated through a multi-criteria approach. The configuration of the control system is thus identified through outranking candidate active members. A multi-objective damage tolerance strategy is then proposed and optimally directed control solutions are identified using stochastic search. Case studies for several damage scenarios are examined to validate results. The most efficient active cable configuration is compared with that needed for deployment. This study is divided into two phases. After the description of a 16 m-span tensegrity bridge, optimally directed locations of active cables are determined in the first phase. Secondly, a procedure to ensure damage tolerance of the structure is proposed. The multi-objective self-repair procedure provides damage tolerance minimizing both maximum deflections in the structure and stresses in the structural members. Results indicate that the control strategy for deployment is a near-optimal solution for damage tolerance. The proposed methodology is applicable to a range of complex active structures. Although scientific research has become utterly more productive over the past decade in Turkey (please see the relevant statistics here), the gap between the quality of Turkish universities remains wide. Thanks to the booming economy and changing socio-cultural system, many top-notch Turkish researchers prefer to go back to Turkey. This potential has to be harnessed in a systematic way. 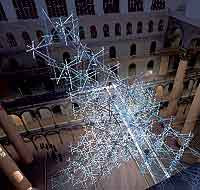 Tensegrity structures are spatial, reticulate and lightweight systems composed of struts and cables. Stability is provided by a self-stress state between tensioned and compressed elements. Tensegrities have received interest among scientists and engineers in fields such as architecture, civil and aerospace engineering. Flexibility and ease of tuning make these systems attractive for controllable and adaptive structures. However, tensegrities are often prone to difficulties associated with meeting serviceability criteria and with providing adequate damage tolerance when used as civil engineering structures. This paper extends research on active control of tensegrity structures to study self-repair of a tensegrity pedestrian bridge that is damaged. Self-repair is intended to meet safety and serviceability requirements in case of cable damage in the pedestrian bridge. Intelligent control methodologies that implement stochastic search with active member grouping are proposed. Case studies for several damage scenarios are presented to show the effectiveness of the methodology. Results from simulated damage scenarios show that self-repair can be successfully performed with a minimum number of active members leading to a reduction in control complexity. Full paper can be accessed using the following DOI: http://dx.doi.org/10.1016/j.engstruct.2011.02.031. A "traditional" application field of biomimetics is computer science. Computer scientists have been using biomimetic approaches in subfields such as stochastic search. A new study by Yehuda Afek et al. aims to provide simple and efficient algorithms in the subfield of distributed computing using a technique inspired from the nervous system of the fly. The original paper can be accessed here. A 1.6m-span tensegrity bridge model is currently under construction at EPFL. Timber struts and nylon cables are used as compression and tension members in the lab structure, which will be used for damage-tolerance research. Sebastiani, P. et al. Science doi:10.1126/science.1190532 (2010). Wolfe-Simon, F. et al. Science doi:10.1126/science.1197258 (2010). In both examples, the papers are ripped apart online. Although disadvantages of the current peer-review system decrease productivity, I do not find the new unruly, unstructured and often anonymous procedure constructive. As Wolfe-Simon mentions, "Any discourse will have to be peer reviewed in the same manner as our paper was, and go through a vetting process so that all discussion is properly moderated". Hard-earned scientific information should not be wasted with chit-chat level "scientific commentary" via Twitter. Yet another biomimetic legged vehicle: Mondospider. Zero emission! For more information, please visit the website dedicated to this project: www.mondospider.com. Tensegrity mechanisms are used in a number of applications. Yet another tensegrity application is coming up: headphones. 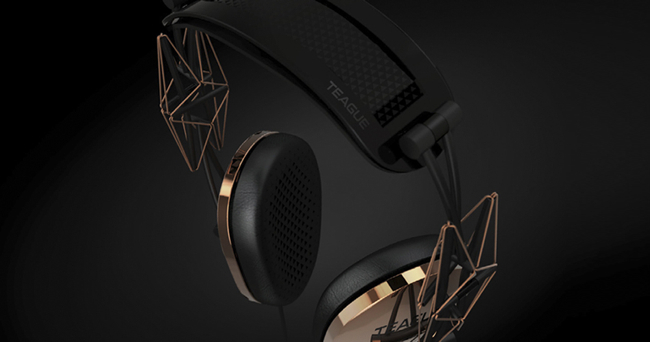 Teague 20/20 headphones make use of flexibility and self-stress mechanisms of tensegrity to make it automatically form to the user's head. The designer of the headphones is Dana Krieger. More information is available at http://www.teague.com. CNN Money (a service of CNN, Fortune and Money) published the "best jobs in America". Among the 100 job titles listed, civil engineering is ranked only 6th (2nd among engineering disciplines). It is highlighted that huge construction projects and aging infrastructures are bolstering demand for civil engineers. Median salary of civil engineers is noted to be $80,000. Why does the society not appreciate the profession of civil engineering (more generally, engineering) as much as some other 5 professions? A significant amount of software architects and management consultants are engineers. What about the two healthcare professions? All (civil) engineers that are trained at decent universities had the choice to go to any department. They did not choose to do it due to several personal and some common reasons (e.g. in some countries, only engineers have had the image of "smart people"). The image of being #6 is ascribed to civil engineers for a reason. We need to eradicate this bad image that bad "engineers" have given to the society. Once the bridge was built and it was recognized that "there was a problem", the engineers attempted to control the bridge passively using hydraulic dampers. However, the effectiveness of the hydraulic dampers was nullified since the seals of the units were damaged when the bridge was sand-blasted before being painted. Aeroelastic fluttering induced the failure of the suspender cables 5 days after Prof Frederick Burt Farquharson (University of Washington), proposed to give a more aerodynamic shape to the transverse section of the deck by adding fairings or deflector vanes along the deck, attached to the girder fascia, the bridge collapsed due to 64 kmh wind. 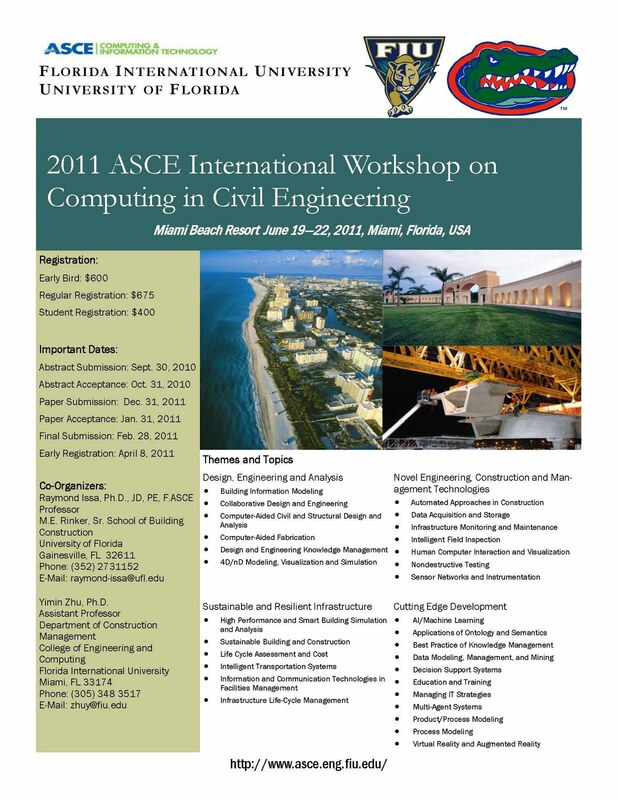 International Workshop on Computing in Civil Engineering will take place in Miami next year. It could be a good opportunity to present results on the role of informatics in adaptive structures. Research into “active tensegrity structures” has been carried out since decades by aeronautical engineers, civil engineers and mechanical engineers. Keeping in the mind the productive nature of interdisciplinary work, I believe that the interaction between research groups composed of researchers from merely one of these categories should be enhanced. Ultimately, an ideal research group working on active structures would comprise civil engineers, aeronautical engineers, mechanical engineers and computer scientists. Also, there is a gap between the research conducted in Europe and the research conducted in the US. Most of the researchers in the field of “active tensegrity structures” are civil engineers in Europe (e.g. Ian F.C. Smith, René Motro, Simon Guest*). On the other hand, almost all of the scholars working on active control of tensegrity structures (e.g. Robert E. Skelton, Cornel Sultan, Hillary Bart-Smith) are from aeronautical or mechanical engineering field. Also, other aspects of tensegrity structures are studied by medical doctors (e.g. Donald Ingber). Collaboration among these groups is very important in the context of transatlantic research cooperation, as well. Therefore, it is worth to step up efforts toward such collaboration. *Simon Guest is not a “civil engineer” but an “engineer” since University of Cambridge does not award any other engineering title. After The Fraud Epidemic (page 20), yet another article on fraud, deception and lies in scientific research: When Scientists Sin, by Michael Shermer. The concept of "smart structures" has been implemented in aeronautical engineering for a long time. However, most of the civil engineering students are hardly aware of this terminology. In most higher education institutions, subjects such as adaptive structures, active structures and smart structures are considered to be "luxurious". 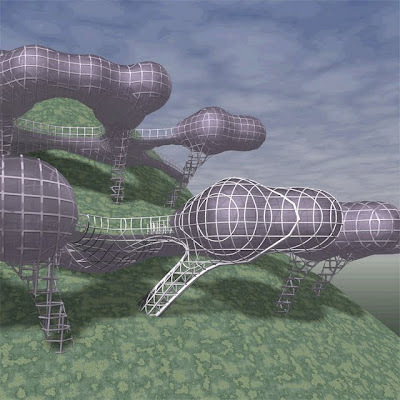 At Lehigh University Department of Civil and Environmental Engineering , Dr Yunfeng Zhang offered a "Smart Structural Systems" course to undergrad and grad students during the Spring 2006 semester. Here is how it went! My new book is published: Uniform Material Law: Extension to High-Strength Steels. The book presents a refined methodology to predict fatigue life of high-strength steels. It is intended to be a useful reference for mechanical and structural engineers as well as researchers of related disciplines. Donetsk, Ukraine will soon boast the largest aluminum-domed indoor waterpark in the world. Scheduled to open in the fall of 2011, the Royal Marine Aquapark dome is the creation of Oakville-based OpenAire, which specializes in totally unique structures that incorporate retractable roofing systems. OpenAire has created retractable roofing enclosures for water parks, hotels, community centers and other commercial applications. dehumidification costs for water facilities. The Royal Marine is a joint venture between the City of Donetsk and private sector investors. The Royal Marine is OpenAire’s second Ukrainian project. The company previously built a retractable skylight for the Terminal Water Park in Kiev-area Brovary Park, the country’s first major indoor water park. In the Donetsk water park, OpenAire’s role has been more significant, with the company providing the entire design and manufacture of the retractable structure. A computer animation of the Royal Marine Aquapark is available here. For further information, please visit the website of the company at www.openaire.com. Wilkinson Eyre Architects proposed a tensegrity for the National Building Museum in Washington. According to the architectural firm, "The bridge is to be constructed from a network of glass tubes acting as compressive elements and joined together by cables in a ‘tensegrity’ structure. The underlying geometry is based on a series of tetrahedral cells, replicated numerous times to accumulate a visual mass capable of asserting itself within the extraordinary scale of the museum’s courts while remaining essentially light." I have come across Craig Loehle's paper called "A Guide to Increased Creativity in Research--Inspiration or Perspiration? ", which could be very useful for the purpose of increasing research creativity. I believe that it can impact researchers' short- and long-term research ambitions. It can be accessed here . I am thinking about links between (any kind of) religions and biomimetics. Nature-worship may have influenced design processes. For instance, Gaia philosophy is based on that living organisms on a planet will affect the nature of their environment in order to make the environment more suitable for life. 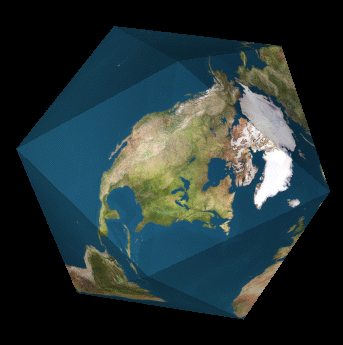 Buckminster Fuller has been credited as the first to incorporate scientific ideas into a Gaia theory, which he did with his Dymaxion map (Fuller map) (see the photos above) of the Earth. A West Lothian-based company, Touch Bionics, announced the commercial launch of ProDigits. ProDigits is claimed to be the first powered bionic finger for people with missing digits (see the videos below). Detailed information is available here. “SHM aims to give, at every moment during the life of a structure, a diagnosis of the state of the constituent materials, of the different parts, and of the full assembly of these parts constituting the structure as a hole. 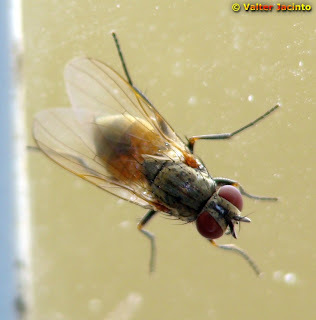 Thanks to the time-dimension of monitoring, which makes it possible to consider full history database of the structure, and with the help of usage monitoring, it can also provide a prognosis (evolution of damage, residual life, etc.)”. SHM is used at a variety of structures. Aircrafts and bridges are two of the typical structures at which SHM is used commonly. On the other hand, there are also some “uncommon” fields of SHM usage. In Monitoba, Canada, an SHM system is installed inside a statue: the “Eternal Youth (Golden Boy)”. According to Dr. Mufti, the SHM system for the Golden Boy comprises four types of gauges: accelerometers, electric resistance strain gauges, fiber optic strain gauges, and thermocouples. The internal stress, vibration, and inclination of the structure can be monitored and its response to loading can be examined by using these sensors. At the central control site, located at ISIS Canada SHM Lab in Winnipeg, an application program on the data server is continuously running to subscribe the data from the remote site. The new data are transferred and analyzed every 5s. Currently, around 1GB of data per day on the Golden Boy is reported. A software program uses statistical analysis to sort through and interpret the data. If data patterns remain basically the same, the software does not store the data. Data are stored when the patterns change significantly, and researchers are notified if something completely new happens. "Clustered actuation exploits the existence of cable elements in a tensegrity structure by allowing cables to be run over frictionless pulleys or through frictionless loops at the nodes". Clustering of active cables has its strengths and weaknesses. If the active cables are clustered, the damage in one cable leads to greater displacements since all cables in the same cluster go slack. On the other hand, the disadvantages of embedded actuation such as added mass and cost, increased control complexity and energy consumption mean that grouping of active cables is preferable. I am currently working on self-repair of a tensegrity bridge by means of clustered actuation. This is a promising subject, which has the potential to provide more efficient structures. Is The Kurilpa Bridge Safe? However, these discussions are not to be taken seriously since they are based on speculations of non-engineers. “The engineering goal of artificial intelligence is to solve real-world problems using artificial intelligence as an armamentarium of ideas about representing knowledge, using knowledge, and assembling systems." Interest in artificial intelligence has been great since mankind envisaged robots. On the other hand, artificial intelligence methods are generally not associated with structural engineering applications. However, intelligent control methodologies such as self-diagnosis, self-repair and learning could be integrated into structural systems to provide innovative solutions that can also be applied to a range of other systems. We, EPFL Applied Computing and Mechanics Laboratory researchers, are going for a deployable tensegrity bridge that is able to take self-repairing actions thanks to an integrated active control and reasoning system. We believe that this research will be an important cornerstone toward the ultimate aim of intelligent structures. "Exploit biomimicry for functionalities and a cohesive view, get your hands dirty with simulations and implementations, and use disciplined mathematical approaches." "Artificial Intelligence is the study of the computations that make it possible to perceive, reason, and act." according to Ramachandra Rao: "Biomimetics is the field of scientific endeavour, which attempts to design systems and synthesise materials through biomimicry." according to Fuller: "Tensegrity is an assemblage of tension and compression components arranged in a discontinuous compression system." according to Motro: "A tensegrity system is a system in a stable self-equilibrated state comprising a discontinuous set of compressed components inside a continuum of tensioned components." according to Skelton: "In the absence of external forces, let a set of rigid bodies in a specific configuration have torqueless connections. Then, this configuration forms a tensegrity configuration if the given configuration can be stabilized by some set of internal tensile members. A tensegrity system is composed of any given set of strings connected to a tensegrity configuration of rigid bodies." according to Tibert: "Deployable structures are structures capable of large configuration changes from a packaged, compact state to a deployable." according to Utku: "An adaptive structure is an engineering structure whose response to excitations can be controlled in real time by the insertion of internal deformations through appropriately placed actuators that are part of the structure." according to Soong: "An active structure is ... one consisting of two types of load resisting members: the traditional static (or passive) members that are designed to support basic design loads, and the dynamic (or active) members whose function is to augment the structure's capability in resisting extraordinary dynamic loads." according to Winston: "Artificial intelligence is the study of the computations that make it possible to perceive, reason, and act." according to I.F.C. Smith: "Intelligent structures are a type of active structure that reacts to changes in their environment (loads, movements, etc.) through performing specific tasks. These tasks are i) measurement of behavior, ii) evaluation using knowledge bases, iii) use of computational control to modify structural characteristics and iv) use of past events to improve performance."